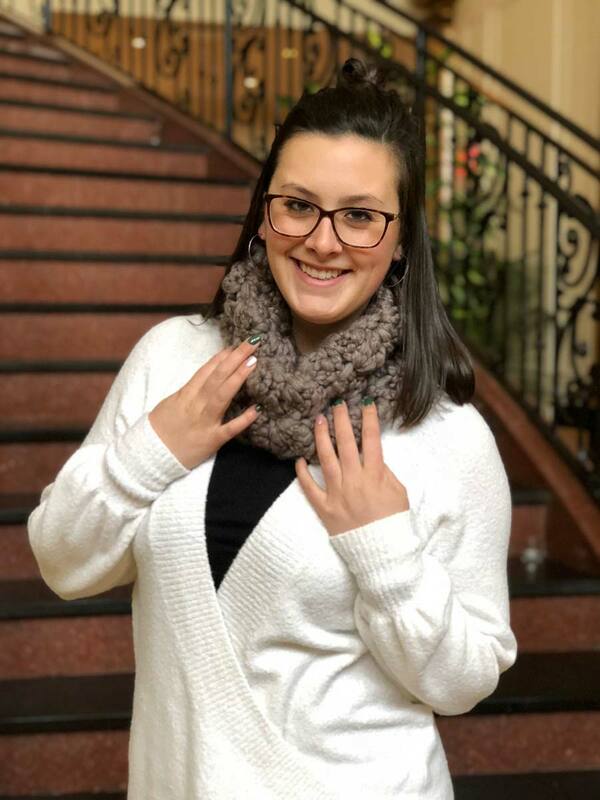 Carrington is a full time music educator and the founder and owner of Calicozy Co. She loves her faith, family and friends, and her crochet hooks keep her hands busy in her down time. One of her main goals is to run a business that shows love and brings smiles to as many faces as she can. 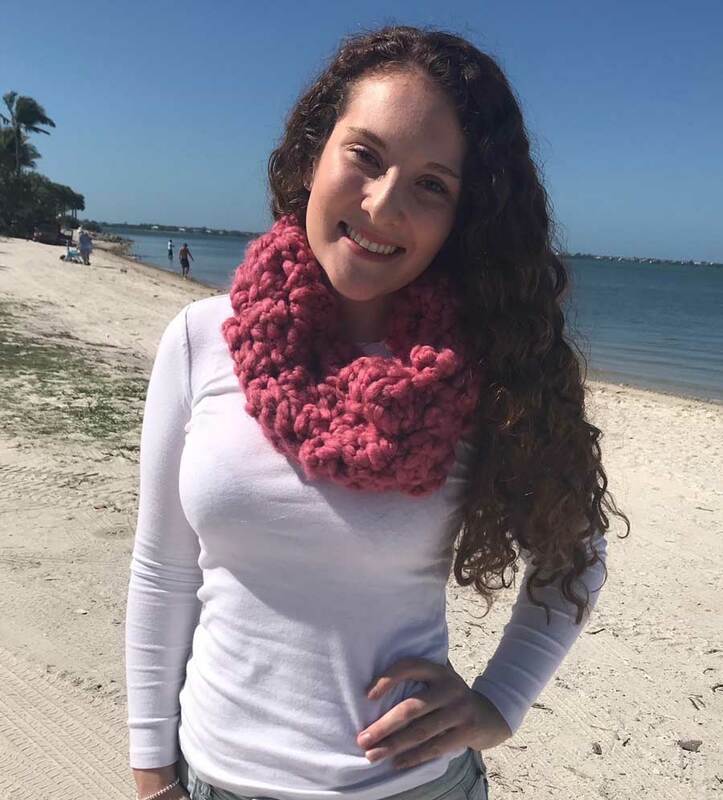 My name is Carrington Thompson, and I am the owner of Calicozy Co., which is an Etsy shop of my crocheted goodies! I'm a twenty-four-year-old goof ball who loves eating good food, dancing like a fool in my kitchen, drinking a good glass of wine, blasting music in my car, and laughing until it hurts! 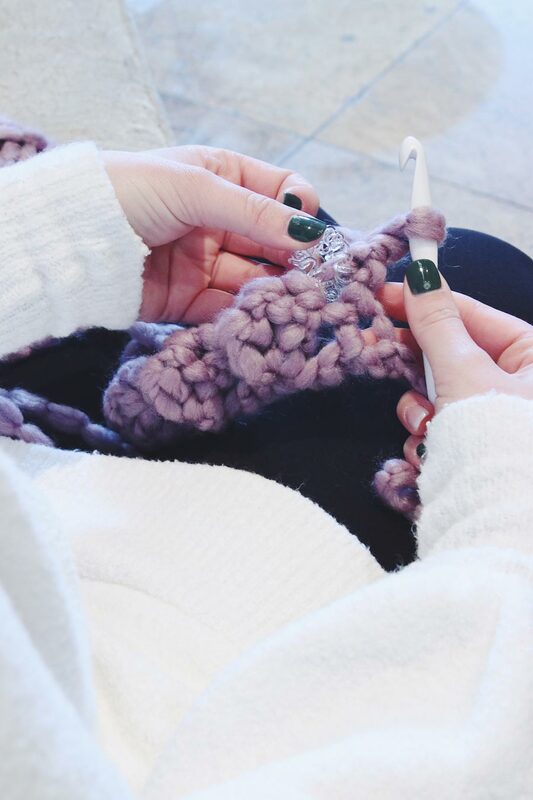 Creating Calicozy Co. and working on Etsy is just my small side business. I am a full-time orchestra teacher and winter swimming coach with students from 3rd to 12th grade. Teaching orchestra is my 7th grade self’s dream come true, and I feel so blessed to do what I love every day! 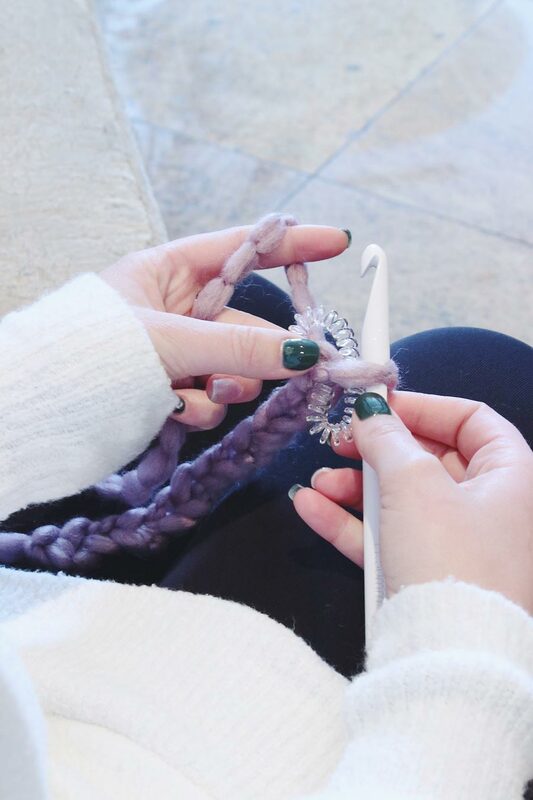 So how did I get into crocheting you ask? 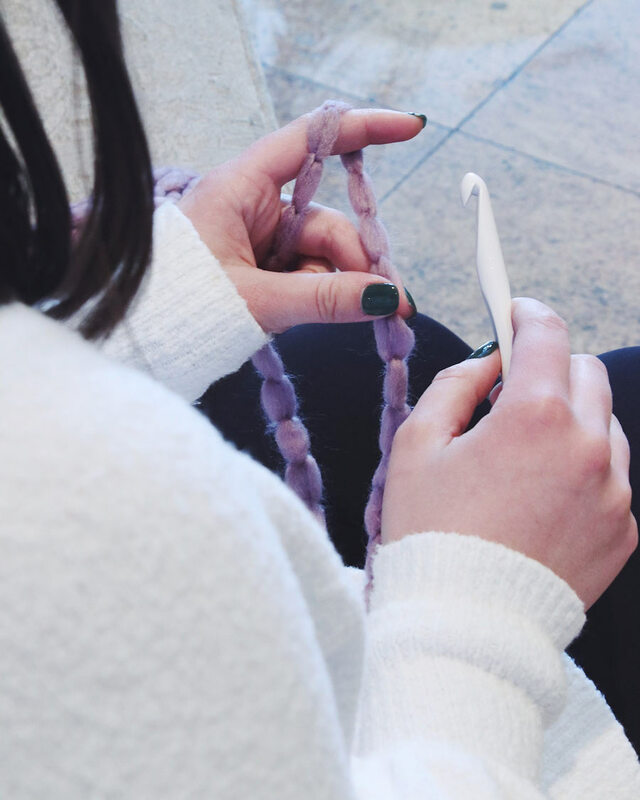 I started crocheting when I was about ten years old thanks to the loving and tender hands of my Memom. I used to help her make granny squares that she would then put together to make baby blankets and dish towels. I lost the art of crocheting for a while, but then I picked it back up again in college where I made and sold scarves by word of mouth. It was a great little hobby that gave me some extra cash for food and gas! I even made enough money at one point to buy a plane ticket for spring break! Now more than ever I hold this craft close to my heart, as Memom has passed on from this world just recently. I am forever indebted to her for teaching me love and crocheting, which is why I’d like to dedicate this pattern to her! 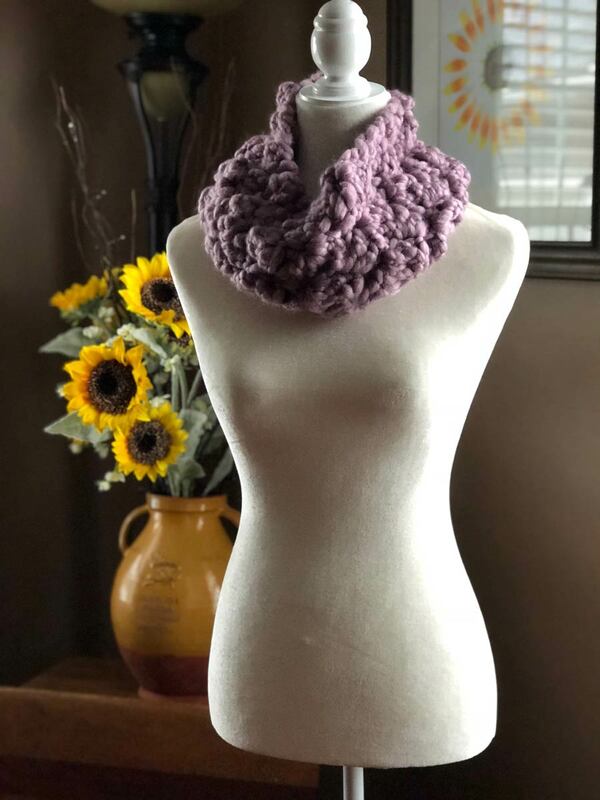 I hope you have fun making and wearing The Fritzy Ann Cowl. 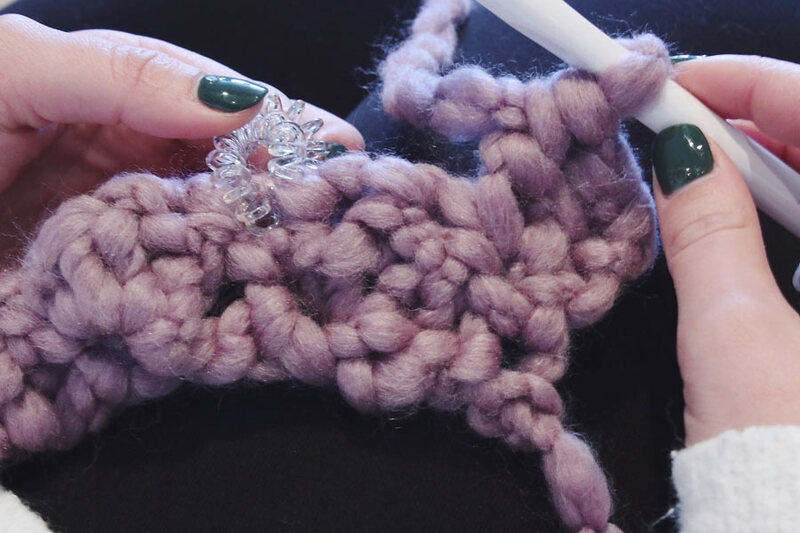 Row 1: Chain 12, place stitch marker on last stitch (if you don’t have a legit stitch marker like me, you can use a hair scrunchy!! ), chain 2 more (the additional 2 chains will count as your first sc in next row. Rows 4-20: Repeat Row 3. 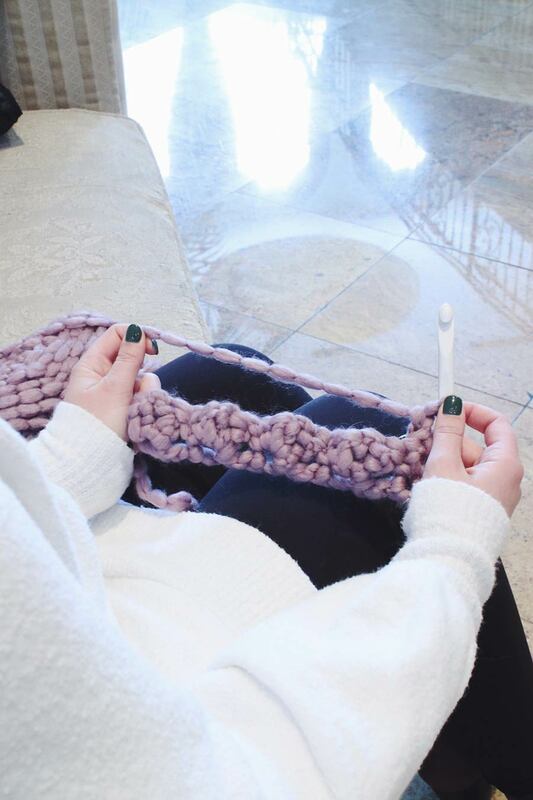 Closing off: Fold cowl in half so that the end row and chain row are touching. Sl st through every stitch to close the cowl. 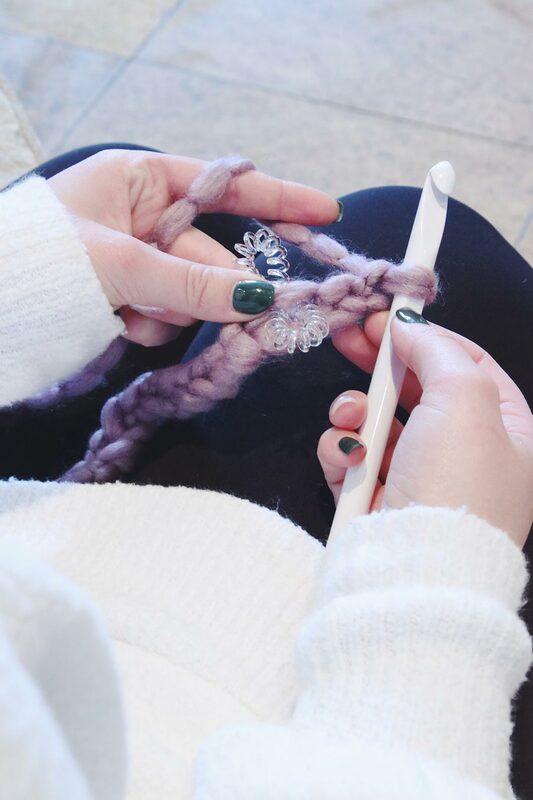 Use scissors to remove the remaining skein from the cowl. Weave in ends. 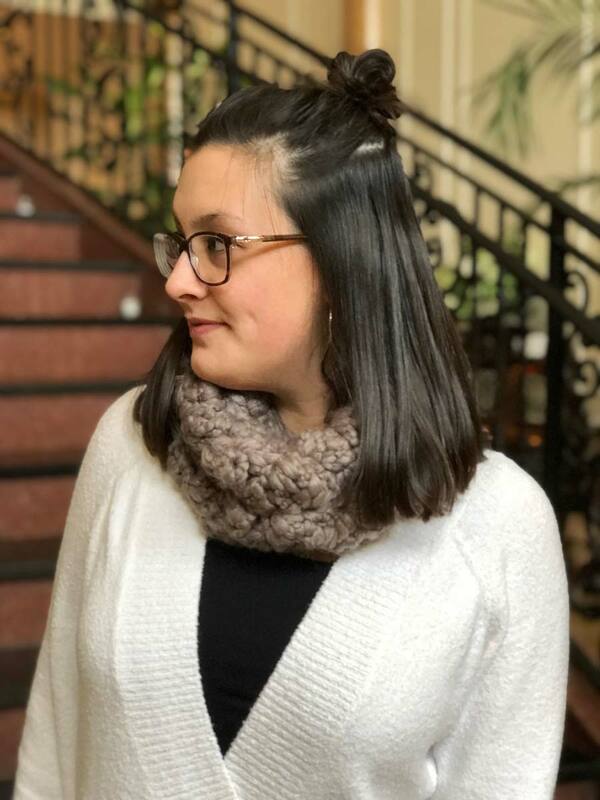 I hope that you enjoy making and wearing The Fritzy Ann Cowl!! It’s warm enough to keep your neck warm in a winter coat and light enough to accessorize your favorite spring cardigan! You can find me and my shop at the locations listed below. Stay cozy! !